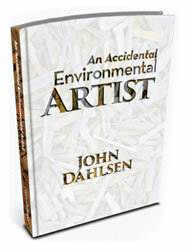 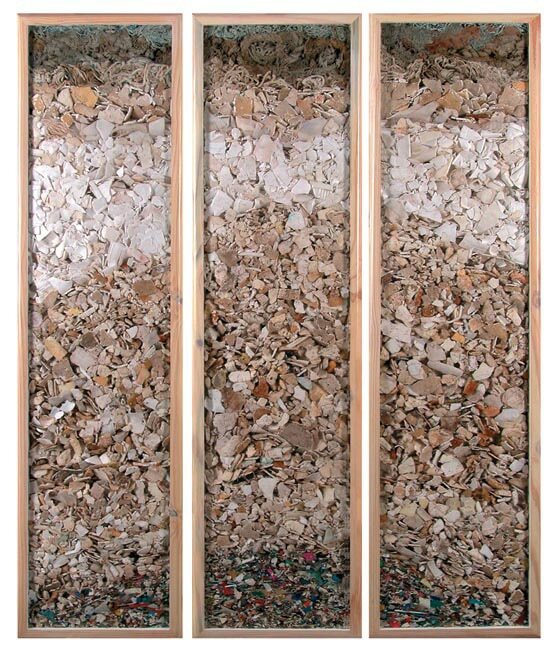 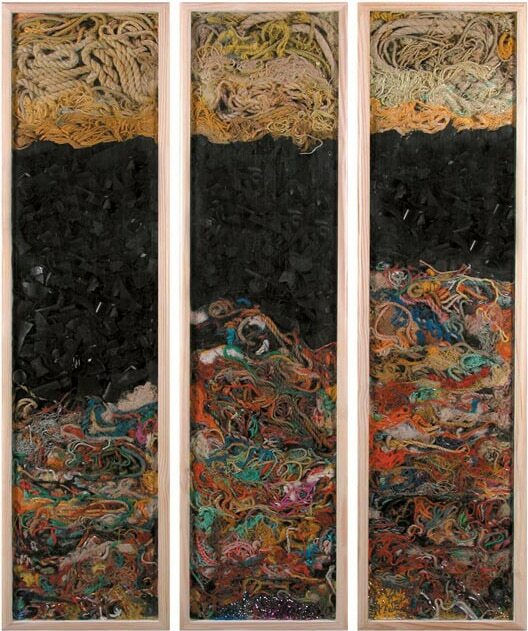 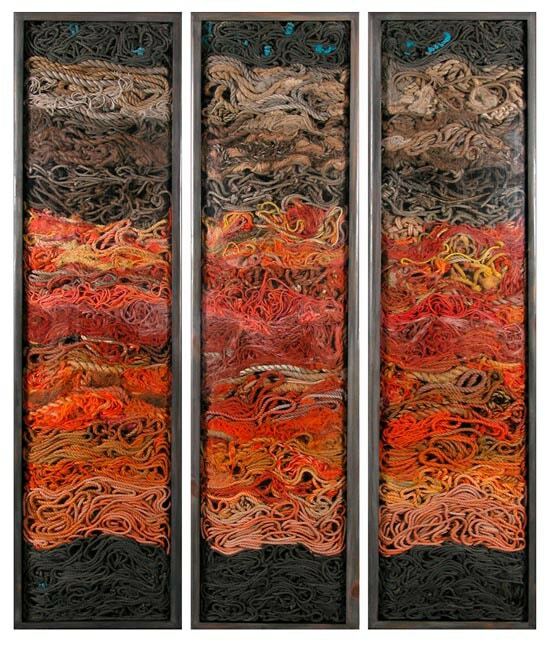 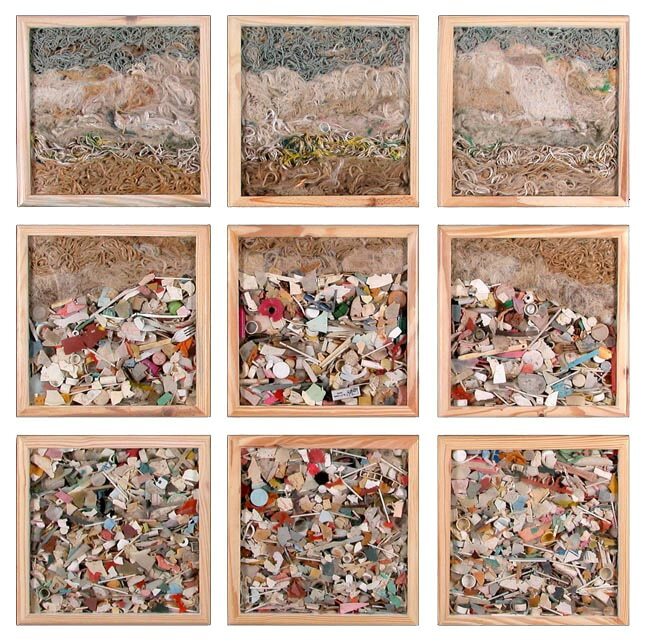 Semi-abstract/Landscape, recycled art created from plastics collected from Australian beaches. 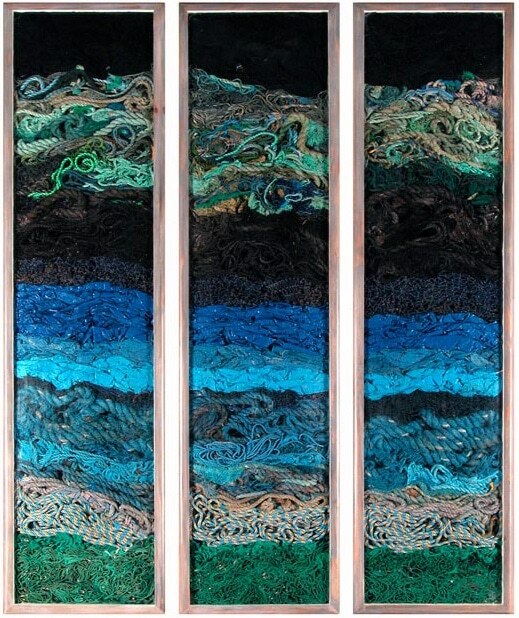 Donated to the Environmental organization “Sydney Institute of Marine Science” for their annual SIMS charity fundraising auction. 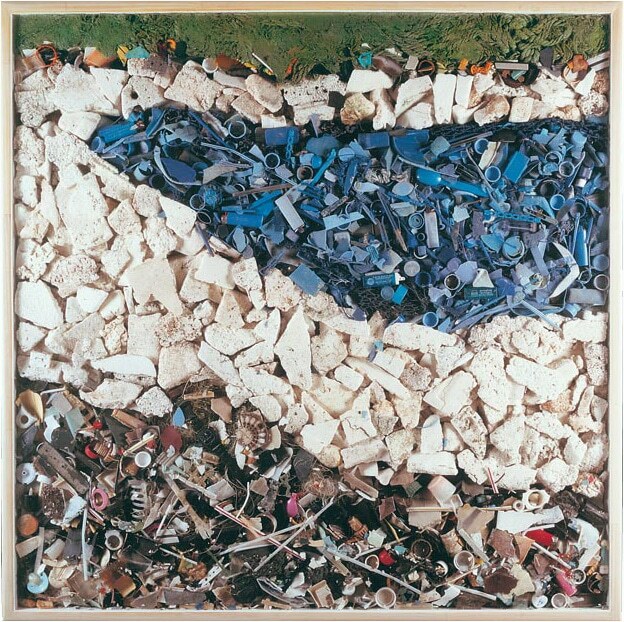 Contemporary environmental art wall work, made from found plastic objects, assembled behind perspex.